Well, that was certainly a quick wash cycle! 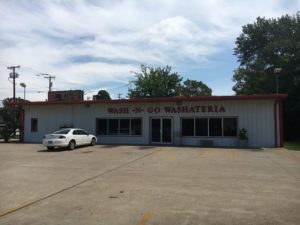 As soon as Mark Whatley, Broker, received the call from the owners of the local Wash-N-Go Washateria, he went to work making calls and marketing the business. In less than thirty days, the business was under contract and is now sold. The new owners of the business, located at 701 East Erwin, intend to keep the business as a laundromat serving the community of central and northeast Tyler. The laundromat has forty-two washers, thirty dryers, ample parking, and is easily accessible from the corner of Erwin and Beckham Avenue. Both the seller and purchaser are very happy with the way everything came together.